Hurricane season has captured big chunks of recent news cycles, with massive storms Irma and Harvey devastating areas in Florida and Texas. 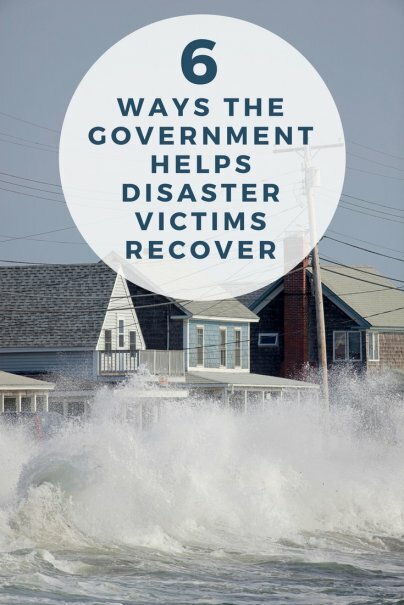 The IRS and other U.S. government agencies are working to help people get back on their feet after these terrible natural disasters. Here's what they're doing. Usually, the IRS levels penalties against early withdrawals from 401(k) and 403(b) retirement accounts. But it recently announced that in the case of Irma and Harvey, victims can take loans and hardship withdrawals against their retirement funds without penalties. All of the specifics for this IRS initiative can be found on the IRS disaster relief page. The IRS provides tax relief to those who are impacted by disasters. This relief takes the form of tax filing and payment extensions, as well as the ability to claim losses on tax returns that may lower the amount of tax owed. Once an area is a federally declared disaster area, the IRS automatically marks all taxpayers in that area as eligible for relief. The details about these tax relief programs are also on the IRS's webpage for disaster relief. If you need to find short-term shelter after a disaster, the government has services to help you. You can search for open shelters in your area by texting SHELTER and your ZIP code to 4FEMA (43362). For example: SHELTER 12345. You can also visit FEMA's page on Interim Housing if you've been displaced by a disaster and you need to find a longer-term rental home. DisasterAssistance.gov makes it possible to find local resources and apply for assistance. There are also relief funds and programs available for small businesses and those who are self-employed. Both FEMA and the Small Business Administration (SBA) are currently hiring temporary workers in affected areas to speed the recovery efforts. FEMA's website details the opportunities it has available and SBA has set up a special website where you can apply for hurricane response jobs. After a natural disaster, it isn't unusual to find crucial necessities like gas and bottled water sold at ridiculously inflated prices — including reports of water for $99 a case and gas for $10 a gallon following Hurricane Harvey. This is known as price gouging, and it is illegal. People who have spotted or been victimized by this practice are encouraged to report it to their state attorney general.